The internet has made it easier than ever to make a living selling your own products. In fact, you can create your very own eCommerce store in a single afternoon. The process is more involved than making a simple website, but not by much! Forget about the upfront costs of running a physical storefront, online stores have a very bright future, and you can be a part of it. Even if you’ve never built a website before, or have no idea what to sell, you can still set up an online store. The process isn’t for the faint of heart though. But those who are driven and don’t give up, creating a successful online store is surely possible. What are you waiting for? Keep reading, so you can start your eCommerce empire today. To build an eCommerce website you’re going to need a domain name and web hosting. If you don’t know what you’re going to sell, then you might want to buy a domain a bit later. But, keep this section in mind once you’ve thought of the perfect name. There are many options for building an online store. For example, using services like Shopify and Wix is quite a common pick. Or, you can take the self-hosted approach and build out your site using WooCommerce or a similar eCommerce platform. When you choose Shopify you’re limiting the potential of your store. First off, your design options are limited, and your theme choice is by no means as expansive as WordPress. Plus, with its pricing model, you’re paying a lot for a platform that you never quite have complete control over. If you ever want to leave Shopify you basically have to start over from scratch. 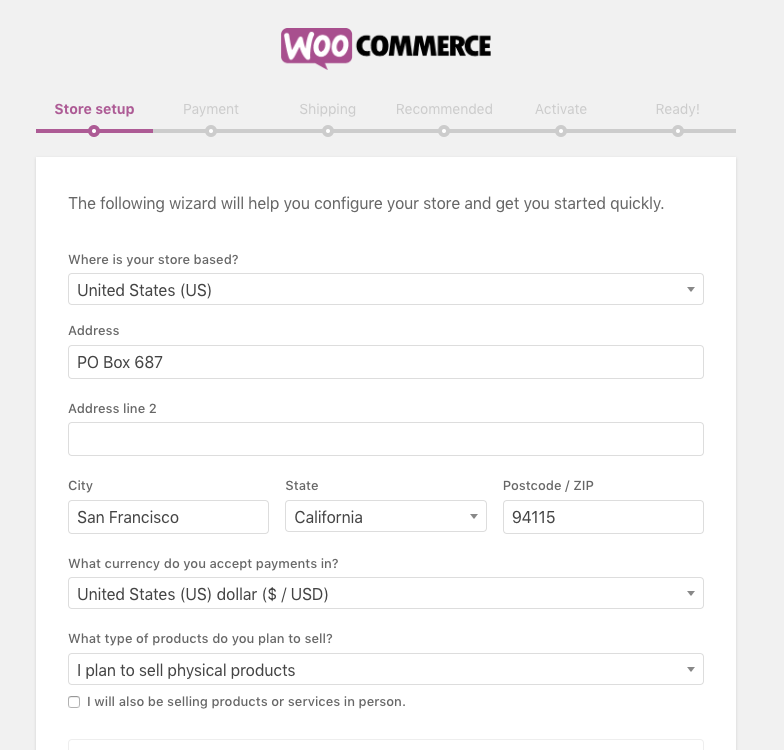 With WooCommerce you have complete control over the design of your store. Plus, since both WordPress and WooCommerce are free, you only have to pay for a domain name and hosting. Both platforms offer incredible support you can lean on. But, at the end of the day, you want a platform that gives you complete control over your site, coupled with the ability to scale it as you see fit. If you’re interested in a detailed comparison between WooCommerce and Shopify, then check out this post. You’ll be wholeheartedly convinced that the WordPress and WooCommerce combination is right for your website. If you’ve been throwing around the idea of starting an eCommerce business then you’ve probably come across drop shipping. With drop shipping, you never handle any of your physical inventory. You sell a product on your store, then a third-party vendor handles all of the shipping for you. This might seem like an attractive approach, after all, it’s mostly hands-off. But, this usually isn’t the best approach to take if you want to build a store that’s a long-term success. With dropshipping you typically have much lower profit margins. Which might not be the best when you’re growing a young eCommerce store. Plus, it’s difficult to grow a long-term brand that has staying power in the marketplace, if you’re not selling your own products. Finally, while you don’t have to handle any of the shipping logistics, you do have to deal with customer service. This could be a real headache when you’re not actually in charge of shipping. Imagine hundreds of angry customers who are dealing with product shipment delays. All you can do is hope their packages are delivered as soon as possible. Yes, drop shipping might be an easier way to start selling products right away, but you’re not really building a long-term business with a scalable brand. If you want to build an eCommerce store that you have complete control over, then creating your own products is the way to go. To start an online store there are certain products and services you’re going to need to invest in. As you can see there is a little upfront investment required to build out your online store. But, when compared to a brick-and-mortar storefront, this investment is minimal. It’ll be near impossible to start an online store without any products. Hopefully, that’s obvious. But, how do you find products to sell? There’s no point in starting an online store if no one wants to buy what you’re selling. Picking the right product to sell and the right market to sell to is the hardest step. Maybe you have a one-in-a-million idea for a product that people not only love but are happy to pay for? Usually, this isn’t the case. But, just because you don’t have an idea doesn’t mean you can’t create a successful store. It all starts with a simple question: what do people need that they’ll actually pay money for? It’s quite simple really. You find a pressing need, solve that need with your product, and profit. What you’re looking for is a gap in the market that’s currently being underserved. If that sounds confusing there’s a step by step process you can follow to uncover your ideal product and market. With an online store, you want to sell something unique. If someone can walk down to their local store and pick up what you’re selling, you won’t have much success. You need to give your visitors a reason to buy from you. One of those reasons could be — they can’t get what you’re selling anywhere else. One way to align yourself with that is to sell products, or go into a market, that’s currently trending. This will help to ensure that you not only make money in the short-term but in the long-term too. You’d hate to catch the end of a product’s wave. Instead, try to find a product that’s only growing in popularity. Before you dive into the tools below it’s a good idea to take note of your current passions and interests. This will give you a solid starting point to start exploring different types of products and markets. What problems do I experience in my day to day life? What products do I own that I love? What companies am I passionate about? Is there a group of people that I deeply relate to? Equipped with the answers from above let’s see if we can uncover some hot trends using the following tools. This site showcases new and upcoming trends across a ton of different niches. Some trends will speak to entire niches, while others will highlight specific products. Spending a few minutes on the homepage alone should give you at least a few ideas. You can also filter by certain industries, such as technology, culture, eco-friendly products, luxury, fashion, and a lot more. Google Trends is another very useful tool that will help you forecast the future. If you’re trying to get a general look at what’s trending across the world, then check out their Top Charts. Here you can see what’s trending across certain markets, both in the present and past. But, if you know the type of product or niche you’re searching for, then this tool can be even more valuable. It’ll compile historical data that goes back as far as 2004, so you can get an idea if a certain market is growing in popularity. For example, here’s what the data for ‘charcoal mask’ looks like. You can see that this niche has been growing in popularity with no signs of slowing down. Looking for a site that only recommends trending eCommerce products? Then ECOMHUNT is going to be your best friend. It’s geared towards store owners who are drop shipping their products, but the market research can still be valuable. Every day there’s a new list of products that are currently trending. You’ll get all kinds of useful data including, how popular the market is, how much you can expect to make, how to target the market, and a lot more. This tool has been free for a while, but the new version does have a monthly fee. But, for those on a budget, a free version of the tool will remain with more limited features. Since you’re building an online store Instagram is going to be a very useful tool for you. Countless brands have been built on the back of Instagram influencer marketing. But, instead of just using Instagram as a way to grow your store you can also use it to find up and coming products. When you’re investigating a niche you’ll find out who the influencers are in your space pretty quickly. As you monitor their accounts look for products they tend to promote most often. Chances are these products are popular and will give you a good idea of products, or even companies, you can model your store after. If you’re still not sure where to start, then check out these products. Each product links out to the Google Trends result, so you can see how popular they really are. Hopefully, the product ideas above have inspired you. Or, maybe you’re going to run with one of the products from the list above. 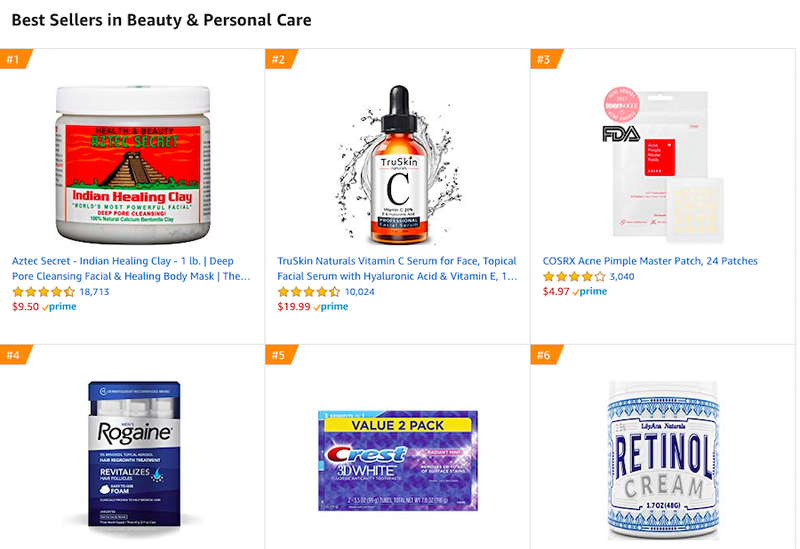 Beyond finding a trending product that will sell for quite some time, there are a few other elements you’ll want to look for in a solid product. The first is that it needs to be easy to ship. When you’re first getting started you’ll probably ship all of your products yourself. For this reason, you’ll want to be able to easily manage and ship your products from your home or office. Plus, you don’t want shipping rates to be too high. Most consumers are used to paying very little, or even no shipping. So having exorbitant shipping rates will only detract from your sales. The second is that you want to sell a high-value item. There’s nothing wrong will selling a ton of cheap products, but the main issue is that your margins are going to be very low. As a startup online business, you’ll want to keep your margins as large as possible. For this reason, you’ll want to sell an item that has a high perceived value. This doesn’t mean your product has to be expensive to produce, but it needs to sell for a higher price. Your product can solve a very pressing problem that people are willing to pay more for. Or, your USP, leads the buyer toward a higher price point. A trending market doesn’t matter that much if you don’t actually care about the idea. Sure, money can be a huge motivator. But, when you’re creating an actual business you’ll need to have a motivation that extends beyond financial gain. Do you actually care about the market or product? Do you want to be working in this niche for 5 years or more? Do you have existing experience in the market? Is the market big enough to handle another company? Still, finding a trending product that you have a passion for might not be enough. You need to find a way to differentiate yourself from the rest of the market. You don’t want to release a product that’s exactly the same as what’s out there. What does your product do that other’s don’t? What unique pain does your product solve? Is there something that your competitors do that you can’t stand? With a few ideas in hand, it’s time to dive deeper to make sure an actual market exists. There are a few ways you can validate market demand, but the most common are using Amazon and Google. Along with being the biggest eCommerce retailer on the planet, Amazon can also be a great source of data. It’s Best Seller’s Lists can offer insight into your market and tell you what products are actually selling. Let’s say you want to go into the beauty niche. We’ll explore the beauty product best-sellers to see what kind of things people are actually buying. What we’re looking for is a type of product that tends to perform well. If there are multiple companies who are selling a similar product and are all succeeding, then this is a very good thing. Competition means that there’s a large market for your product and plenty of room for you to succeed as well. In this case, competition is a good thing. If you’re looking to find gaps in a market, spend some time reading the negative reviews. This can help to uncover certain problems people are having with the product, which you can solve with your product. Chances are you’re going to use Google to help grow your business, whether that’s through Adwords or organic search. Here’s how you can figure out if people are searching for products like yours, or keywords related to your market. 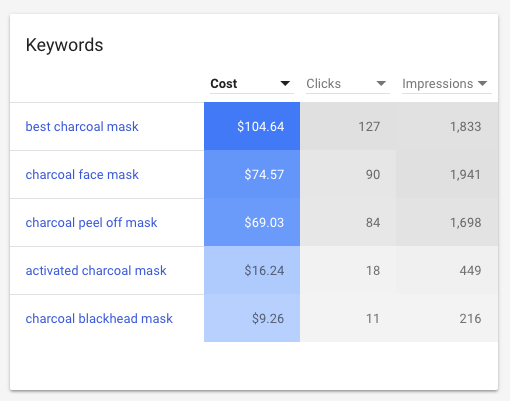 There are a bunch of paid tools you can use, but if you’re on a budget, then you can use Google’s Keyword Planner. This will require more steps than using a paid tool like KWFinder, but it can still provide you with some solid information. First, navigate to Google Keyword Planner. Then, select the ‘Find new keywords’ option. On the next screen input your target keyword, or groups of keywords. Then, you’ll be given a list of various keywords, which are given traffic ranges. Add any relevant keywords to your plan by clicking the checkbox and selecting add to plan. Next, select the ‘Plan Overview’ option on the left-hand side. You’ll be given a ton of advertising data, but what’s valuable to you is the ‘Impressions’ column under keywords (shown below). Then, take the number listed under Impressions and multiply it by 30. 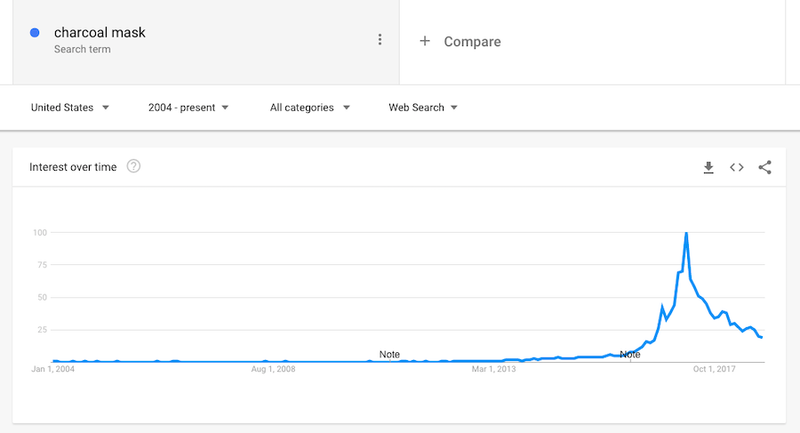 This will give you an estimate for how many people are searching for that keyword on any given month. This approach isn’t incredibly accurate, but it’s a great place to start. If you’re serious about mining the search results, then it’s a smart idea to invest in a paid keyword tool. By now you should have a great idea for your online store. Instead of telling everyone about your awesome idea, you should show them an actual product. This first version of your product doesn’t have to be perfect. Instead, create what’s known as a Minimum Viable Product or MVP. The goal of this initial product is to bring your vision to life. It should achieve the goal or purpose of what you’re trying to make, but it’s by no means the final version. Make sure not to spend too much time or money creating this either. Try to create your MVP product as fast as possible and get it in the hands of real people. Maybe you have some friends who fit your target market? Or, you could give your product away as an incentive for people to join your email list? You’ll want to get as much feedback as possible to help determine if people will actually buy your product, or if you need to pivot. It’s better to get this out of the way early on than to create a store around a product that no one wants. Manufacturing and shipping can be an intimidating process. It’s probably one of the more confusing aspects of getting your online store up and running. But, it’s not as difficult as it seems. Now you probably won’t be creating your product out of your own home. Instead, you can team up with a third-party manufacturer to create and even ship your products for you. This way instead of having to figure out all the technical elements of your products yourself, you can rely on the skills or an experienced manufacturer. There are massive manufacturing companies scattered across the globe, but when you’re starting out it’s a good idea to go local. This way you’ll be more involved in creating your product. Plus, local manufacturers usually won’t require large orders up-front. Once you’ve worked out the kinks with your product, and your product continues to sell, then you can think about working with a larger manufacturer to help reduce production costs. Another thing you’ll have to think about is packaging your products. Just like people judge a book by its cover, they’ll do the same with your packaging. After all, it’s the first thing they’ll see sitting on their doorstep or inside their mailbox. Spend some time thinking about what kind of experience you want your customer to have when opening your product, and choose materials in alignment with that. One of the best resources for finding different types of packaging, along with suppliers is ThomasNet. Once you have your product dimensions nailed down, spend some time on this site to find the perfect product packaging. Now it’s time to ship your products to your customers. When you’re starting out your best course of action is to package and ship all your products yourself. Once you’re ready to ship you’ll be using a provider like UPS, DHL, or FedEx. As your store grows you’ll probably switch over to a third-party company to cut costs. A third-party logistics provider will offer you warehouse storage, along with managing your shipping for you. Companies like this usually require a minimum number of orders per month before you can even sign up. So, you won’t be using this in the early stages of your store. The steps above require a lot of work, so if you’ve made it this far, congratulations. It’s hard enough to find a product you care about. It’s even more difficult to find a product you care about that people will actually buy. But, if you’ve done that, it’s time to start building out your online eCommerce store. If you don’t have a domain name and hosting, then it’s time to purchase these now. 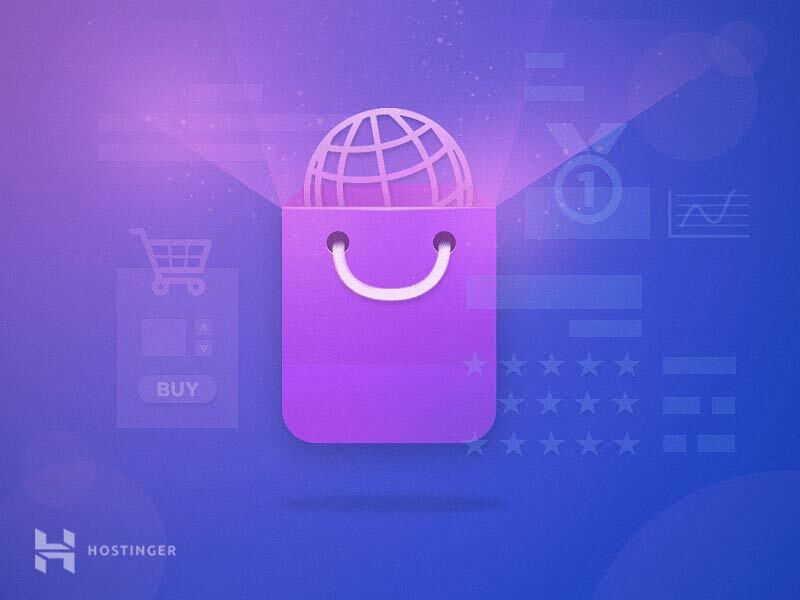 With Hostinger, you can both services with a single purchase! All you have to do is pick a web hosting plan that’s 12 months or longer and a free domain will be bundled together. Make sure that your host has the ability to scale as your store grows, and supports a WordPress installation, as we’ll be using this CMS to build out your store. Does my name appeal to my target audience? Is my name related to my market or product? Are there any alternative meanings that could reflect poorly? Think of your name and your associated domain as a representation of your brand. Make a list of your favorite companies and see how they created something original and memorable. With your domain purchased and web hosting ready, it’s time to install WordPress. This will be the foundation for your website and the entire online store. 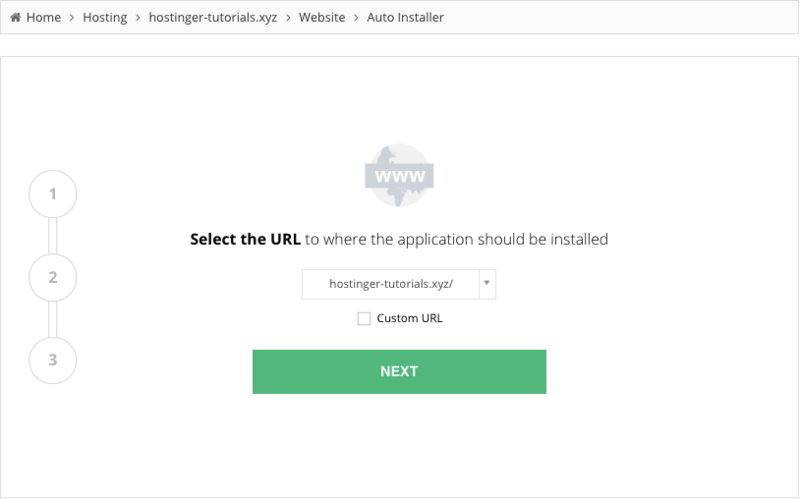 Luckily, if you’re using a host like Hostinger this process is very easy. First login to your control panel. It should look like the image below. Then go to the ‘Hosting’ section in the upper menu and access your newly created space. 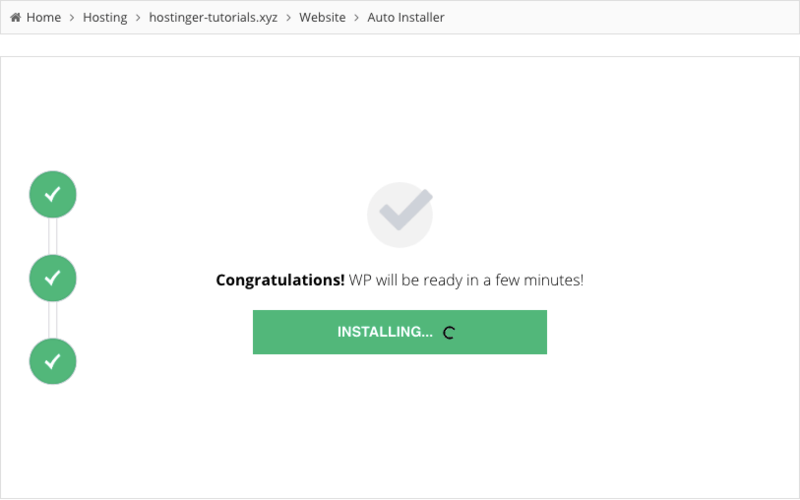 Navigate to ‘Auto Installer’ to easily install WordPress among many other top CMS out there. On the next screen, you’ll select the domain where you want to install WordPress. Enter your relevant site information, like your site’s name, your name, email, and finally click ‘Install’. Let the software do its thing and you’ll have a working version of WordPress installed on your site. That was pretty easy, wasn’t it? 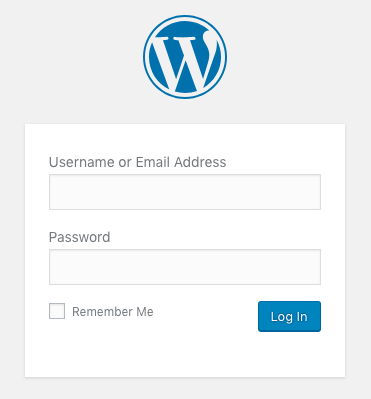 Once the install is complete you should receive an email that contains your WordPress login information. This is how you’ll log in to your site and start customizing your store. 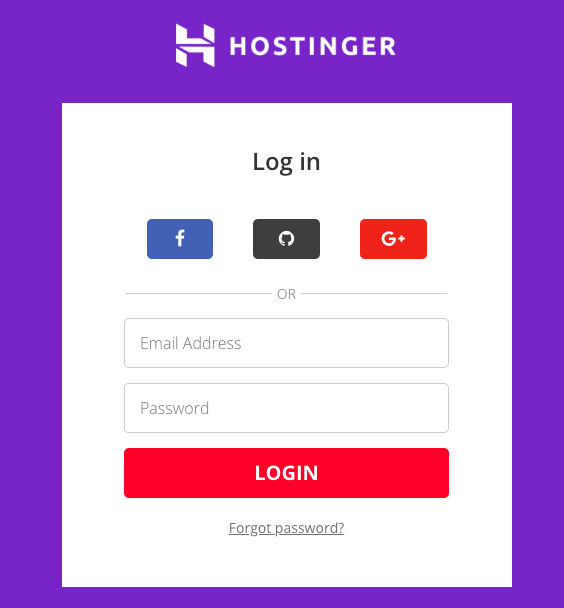 Your login URL should look something like this ‘http://yoursite.com/wp-admin‘. Navigate to your login page, enter your username and password and click ‘Log In’. Now you should be in the backend of your site. Before we install the eCommerce software we’re going to create a few pages that your eCommerce site needs. 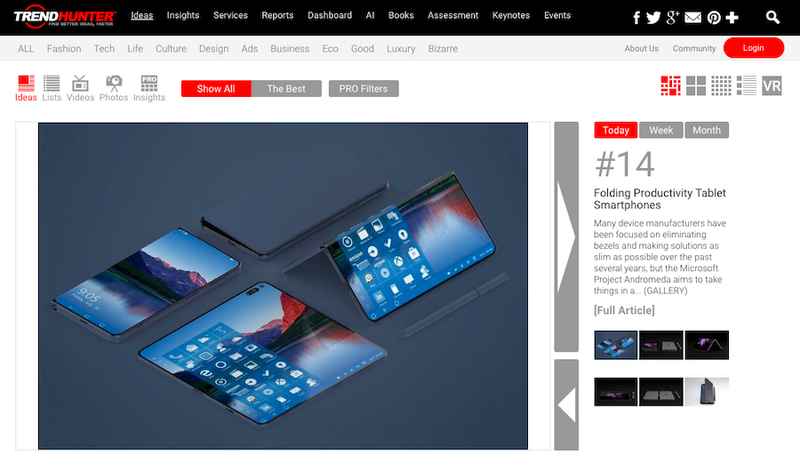 Navigate to the Pages › Add New section. We’ll call the first page ‘About’. Here you’ll enter your origin story and talk about how your company came to be, and the products you’re offering. WooCommerce will automatically generate the other pages required for your store to function, like your shop page, checkout page, and a lot more. WooCommerce is a free WordPress plugin that’ll transform your regular site into a full-fledged eCommerce store. It’ll be difficult to find a more useful and feature-packed plugin. There’s also a library of extensions you can purchase to add even more features to your store. Once you click ‘Activate’ you’ll be taken to a screen where you can enter all of your store’s information. The setup wizard is very intuitive. Follow the steps and all the necessary WooCommerce files will be created. You’ll even have the opportunity to set up payment processors such as Stripe and PayPal. Once you’ve completed all the steps you can move onto the building and designing of your store. To design your store you’re going to be using the customization options offered by your WordPress theme. 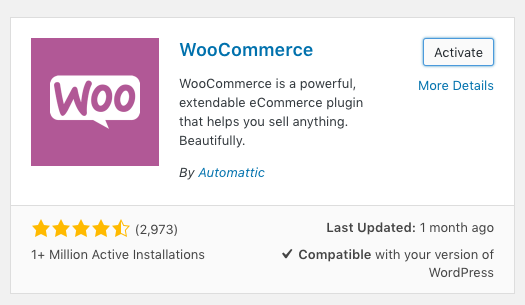 Since WooCommerce is a major WordPress plugin you’ll find that most themes are compatible. But, since you’re here to build an online store, and not just sell products on the side, it can help to choose a WooCommerce specific theme. These themes are built to help you get the most out of WooCommerce. No matter your budget you’ll be able to find the perfect theme for your new store. 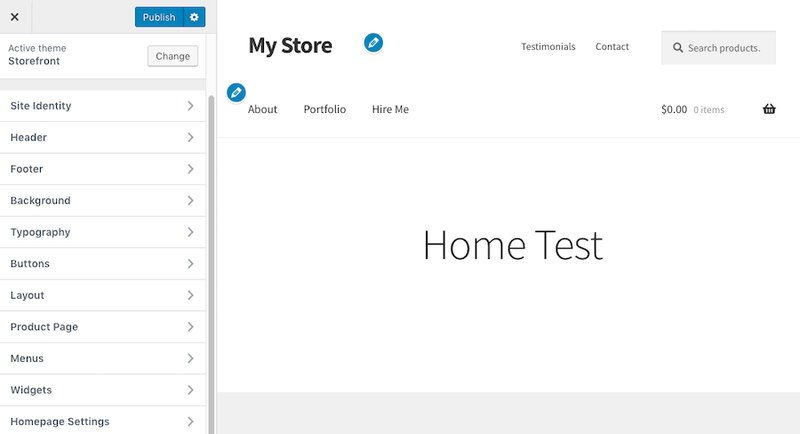 For the sake of this tutorial, we’re going to be using the free Storefront theme offered by WooCommerce. To install this theme navigate to Appearance › Themes and click the ‘Add New’ button. Then search for ‘Storefront’ and install the theme that looks like the one below. 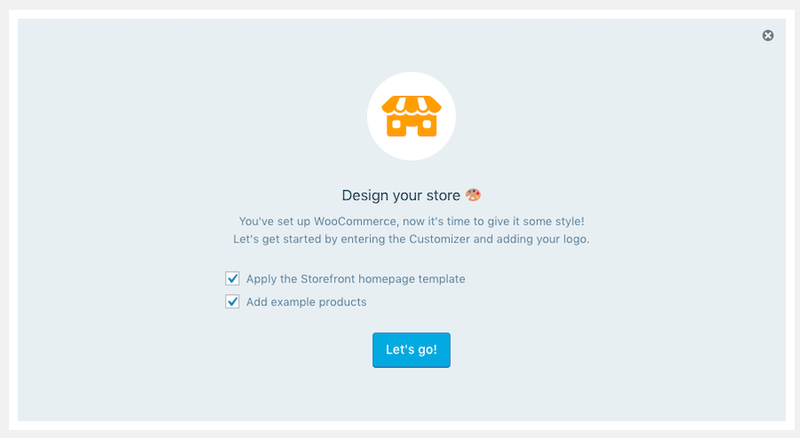 Once you’ve activated the theme there’s another setup wizard which will walk you through the initial steps of building out your store. On the next screen, you’ll be able to completely customize your site. The left-hand menu offers you a ton of different options, so you can create your store however you see fit. 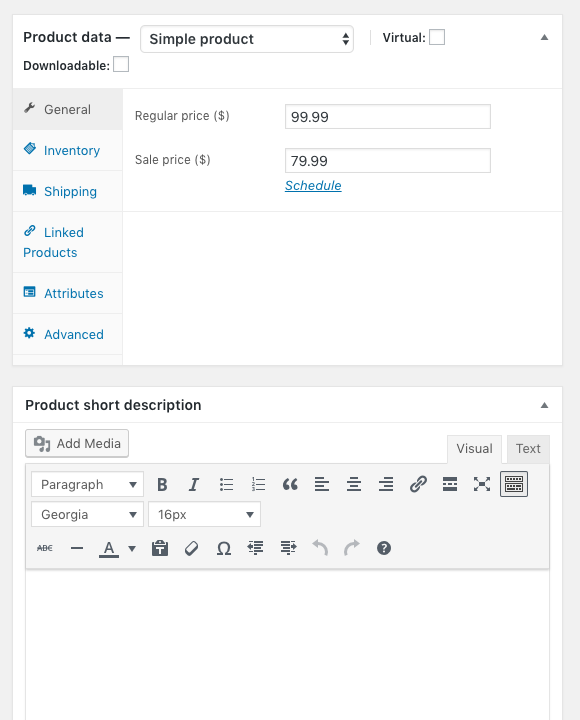 Once you’re satisfied with how your store looks click the ‘Publish’ button. 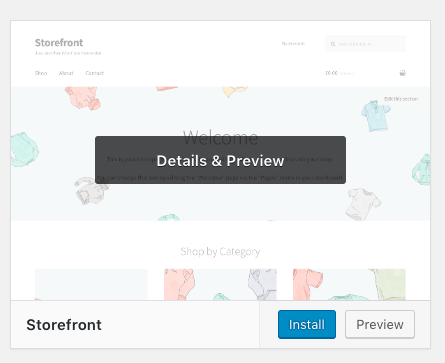 If you’re looking for a more in-depth tutorial on how to set up the Storefront theme, then consider checking our in-depth WooCommerce tutorial. By now your store should be looking good and ready to add products. To do this navigate to Products › Add New from the left-hand sidebar. You should be taken to a page that looks like the one below. 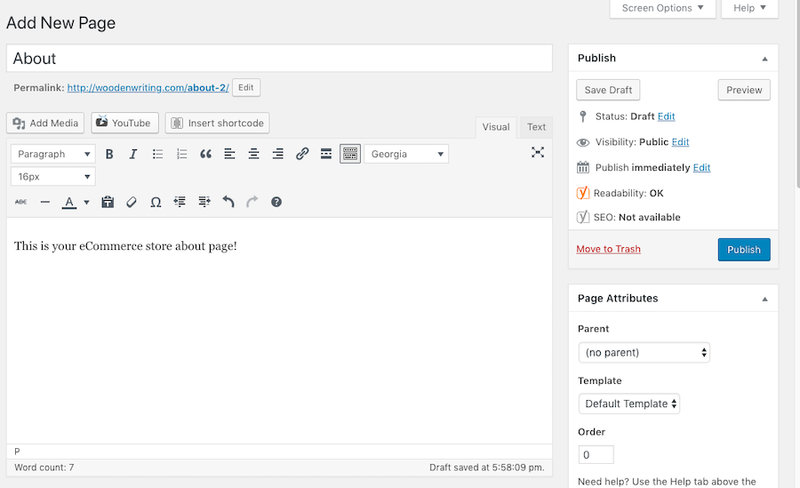 If you’re used to WordPress, then you’ll notice that this page is very similar to the standard Post or Page editor. When you scroll down you’ll find sections where you can input the price of your product and add a product description. Finally, on the right-hand side of your product page, you can add a product photo, or even create an entire gallery. 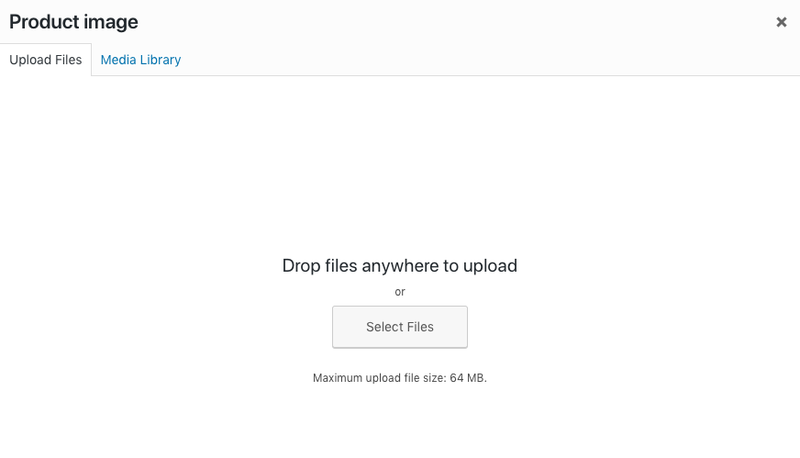 If you have professionally shot photos on your computer then select the ‘Upload Files option’ and drag and drop your photos into the uploader. With WooCommerce you can add as many products as you’d like. However, if you’re just getting started then you may only have one product. This is totally fine, just create your single product listing and build your entire store around that. With all of the steps above you’re probably ready to start selling. As you can see, there’s a lot that you need to do before you even think about marketing your store. The first is double checking your website to make sure there aren’t any errors, and that the ordering process actually works. Then, it’s time to move on to your pre-launch and post-launch plans. With everything above in place, it’s time to start orchestrating a big launch. By taking the time to plan out and execute your launch you’ll create a wave of momentum that’ll take to you your first sale and beyond. It’s time to be bold and let the world know about your online store. By creating a coming soon page you give yourself a way to send traffic to your site, even if it’s not completely finished. Plus, you can build your emails list early on, so you have customers to sell to once your virtual doors open. With WordPress, it’s easy to create a landing page. Install a plugin like Minimal Coming Soon & Maintenance Mode, and you’re all set. Enter your relevant information and your coming soon page will automatically be created. 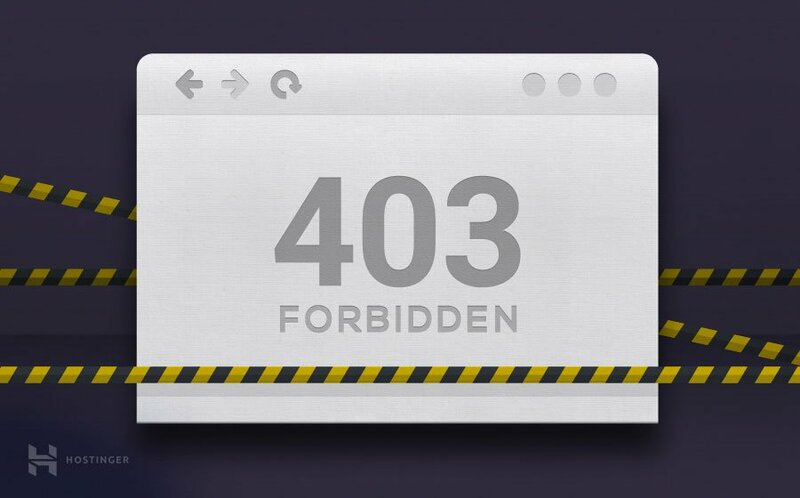 This is what your visitors will see when they visit your site. This plugin can also integrate directly with Mailchimp to help build your pre-launch email list. A product photo. This will help your visitors see what you’re going to bring to the world soon. Your company name. This is obvious, but you should be trying to build up your brand from day one. Limited text. Keep your landing page simple. You don’t want to include every little detail related to your product, but instead, tease your product to your visitors. You can use social media before you launch to help send traffic to your site. The most useful platform you’ll have at your disposal is Instagram. With Instagram, you can use high-quality product photography, relevant images, and even testimonials to help create buzz. All you need is a link back to your site from within your bio and you should see people clicking through to visit your website. You can even offer an incentive for people to join your list, such as a 10% discount for those that join before you launch. If you’ve created a landing page and sent some initial traffic to it, then you should have an existing group of buyers to launch too. Right out of the gate this should help you generate your first sale. If you’ve done the above, then you’ll have some initial sales rolling in. But your goal is to keep sales rolling in, not to have a huge launch, and then have your store fade away. A lot of successful eCommerce stores have been built off the back of Instagram alone. For example, massive brands like Skinny Me Tea were able to achieve success quickly due to influencer marketing. For those who are unfamiliar this is the process of paying people with large Instagram audiences to promote your products. Social media is a great way to not only grow the awareness of your brand, but also build a relationship, and send traffic to your site. The market you’re selling to will help you to decide which social media networks are worth using. But most likely Facebook, Instagram, Twitter, and Pinterest will be the big ones. There are tons of ways you can grow your presence on each of these platforms. Neil Patel has a great write up that dives into growing your audience across multiple social platforms. It’s worth mentioning that Pinterest can work great with a content strategy. Instead of showcasing your products, you can create trending content that’ll do well on Pinterest, and pin this to send traffic back to your site. If you’re taking the growth of your store seriously, then you’re going to need to advertise. One of the most effective forms of advertising is PPC, or pay-per-click advertising, like Google Adwords, or running Facebook ads. Once again this process will rely on keyword research. You’ll be crafting ads that will show up in the search results and direct people back to your product page or website. In the case of Facebook advertising your ads will show up within a user’s feed, or on the sidebar. With advertising, it’s important to track and test everything. What you’re trying to do is create profitable ads. Start with a low budget and scale your budget once you’ve found ads that convert. With paid advertising, you also have a cool feature called retargeting. This allows you to show ads to people who might have already browsed your store or are on your email list. Since they’re already aware of who you are and what you sell they’re much more likely to convert. Running an eCommerce store gives you a myriad of options when it comes to content. For example, you can create content based on keywords that surround your niche, rank these in the search engines, and send traffic to your site. You can create content that’s geared towards doing well on social media (like the Pinterest mention above). Or, you can create content that works to educate your visitors all about your products before they decide to buy. Creating a content strategy is a great way to establish a killer brand over the long-term while giving yourself a long-term source of traffic. One way to do it is by starting a blog. Starting your own online store is a ton of work. Hopefully, you have a better idea of everything it takes to start and scale your own eCommerce store, completely from scratch. With an online store, you can start with very little investment and grow it into a multi-million dollar empire. Since the eCommerce market only continues to grow, you can ensure the success of your business over the long term. Before we leave it’s important to reinforce the importance of treating your customers like gold. They’ll literally make or break your business. By thinking deeply about your customer relationship and taking care of them with your support team, you can help to ensure your customers will stick with you for a long time. The most important thing you can do is get started. Take action. Start researching and brainstorming product ideas. Build your website. Create an MVP product. After all, you can’t create a successful online store, if you never launch.